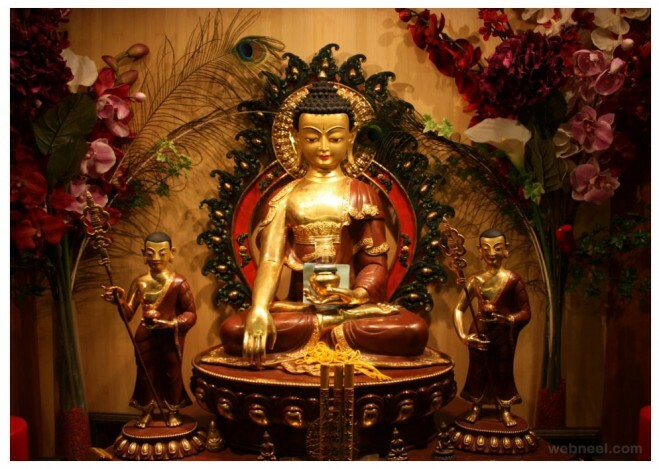 Bring luck and prosperity to your home with this compact but highly prominent Buddha statue. 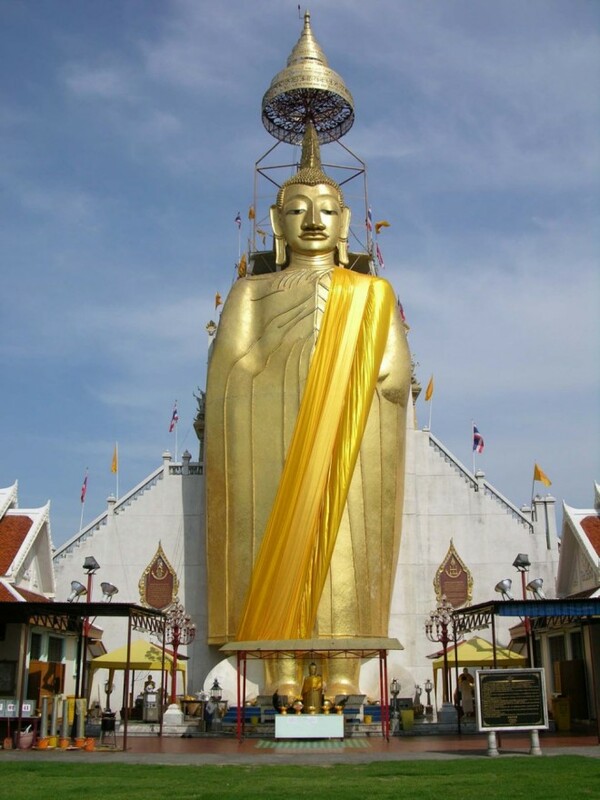 Temple of the Golden Buddha or Wat Traimit is well known for its 3-metre tall, 5.5 tonne solid gold Buddha image. The image has long history. 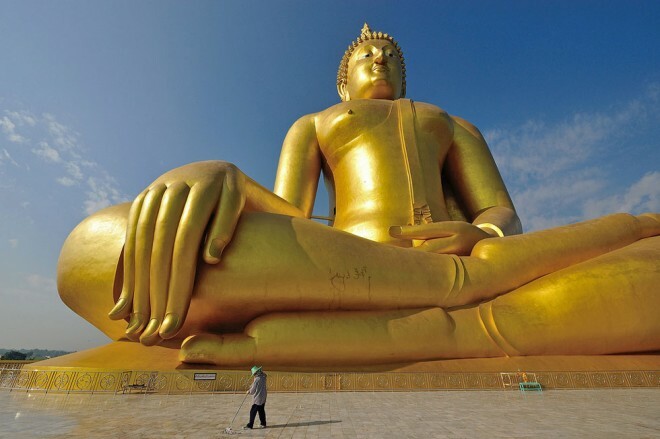 Luang Pho To, a gigantic 32m x 11m statue of Buddha, built starting in 1867, and covered in 24k golden mosaics. 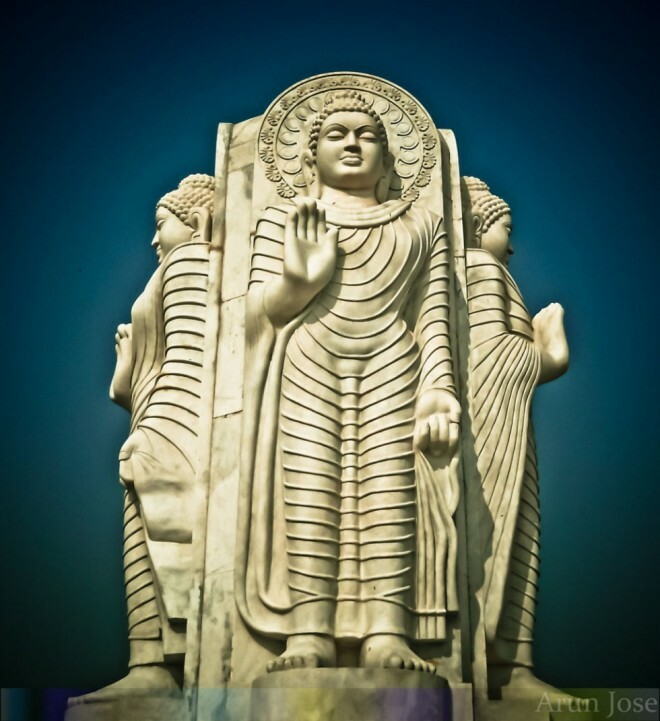 The topknot of the Buddha image supposedly contains a relic of Lord Buddha brought from Sri Lanka. 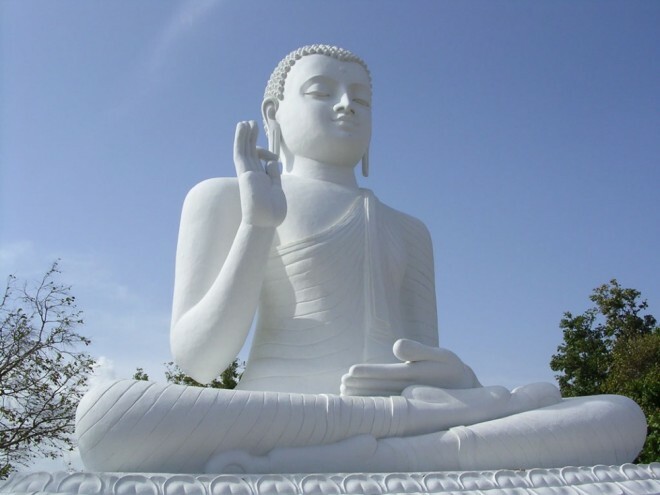 The great statue of the Buddha at the sacred mountain of Mihintale in Sri Lanka is a holy pilgrimage site each July on the full moon. 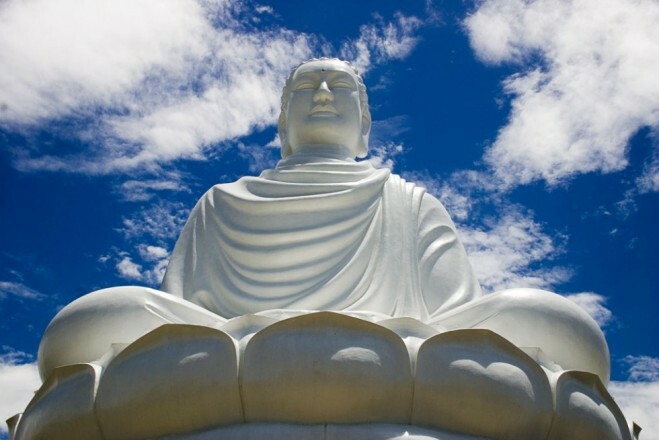 Tian Tan Buddha, also known as the Big Buddha, is a large bronze statue of a Buddha Amoghasiddhi, completed in 1993, and located at Ngong Ping, Lantau Island, in Hong Kong. The statue is located near Po Lin Monastery and symbolises the harmonious relationship between man and nature, people and religion. It is a major centre of Buddhism in Hong Kong, and is also a popular tourist attraction. 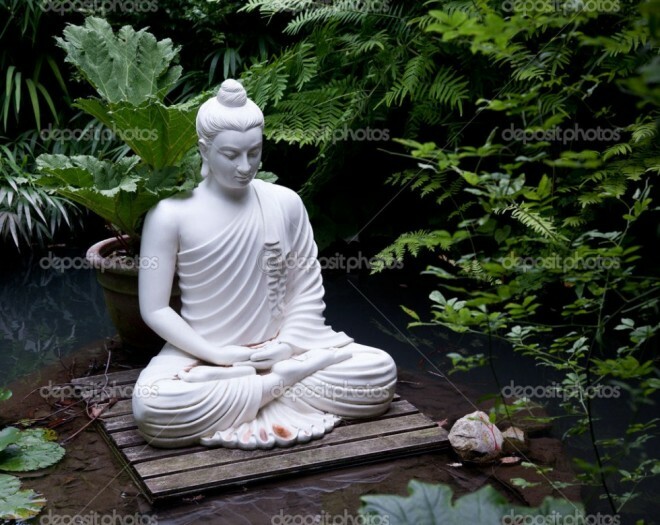 The popular Laughing Buddha statue that decorates Chinese restaurants throughout the U.S. is frequently confused with the original Buddha, Siddhartha Gautama. 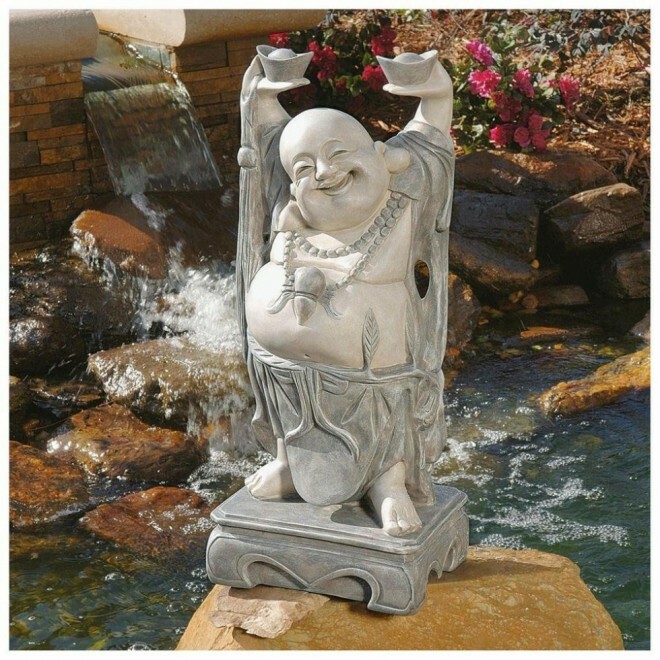 Often we see this Laughing Buddha depicted in business establishments, particularly those run by Asian and Buddhist families. Perhaps seen in a small cabinet or altar in a shop, salon, or restaurant, or as a large statue decorated with flowers and a wishing fountain with pennies scattered along the bottom of the water. 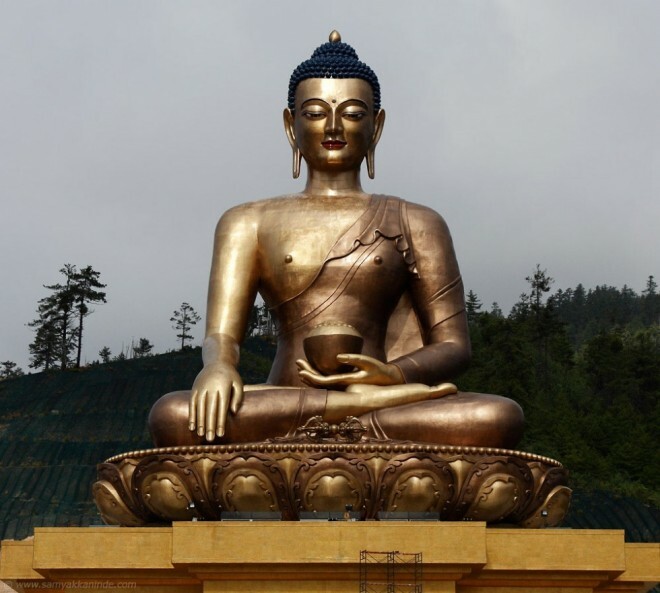 Mahayana Buddhism is the state religion of Bhutan, and Buddhists comprise two-thirds to three-quarters of its population. 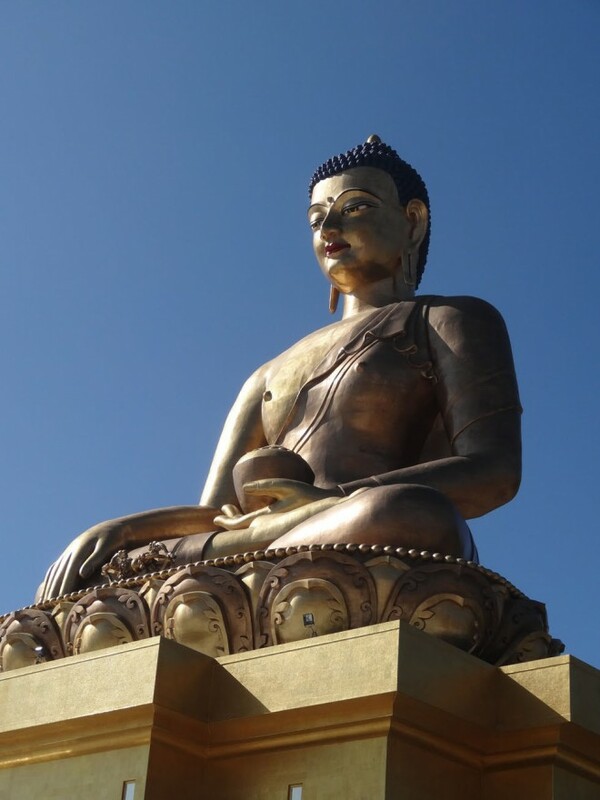 Although the Buddhism practiced in Bhutan originated in Tibetan Buddhism, it differs significantly in its rituals, liturgy, and monastic organization. 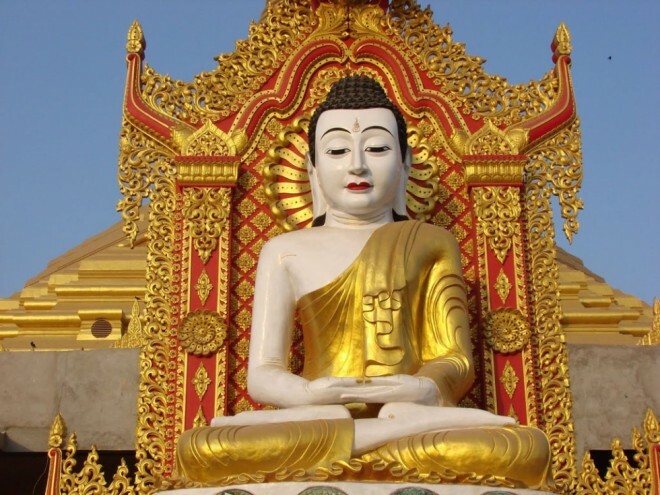 The state religion has long been supported financially by the government through annual subsidies to Buddhist monastery, shrines, monks, and nuns. In the modern era, support of the state religion during the reign of Jigme Dorji Wangchuck includes the manufacture of 10,000 gilded bronze images of the Buddha, publication of elegant calligraphied editions of the 108-volume Kangyur (Collection of the Words of the Buddha) and the 225-volume Tengyur (Collection of Commentaries), and the construction of numerous chorten (stupas) throughout the country. 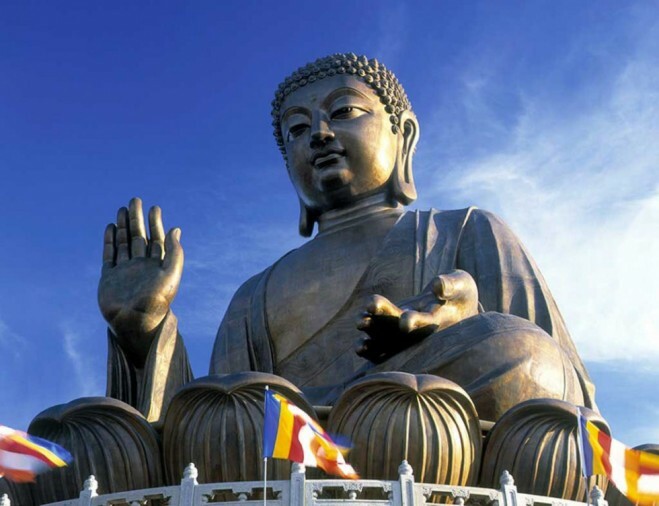 Guaranteed representation in the National Assembly and the Royal Advisory Council, Buddhists constitute the majority of society and are assured an influential voice in public policy. 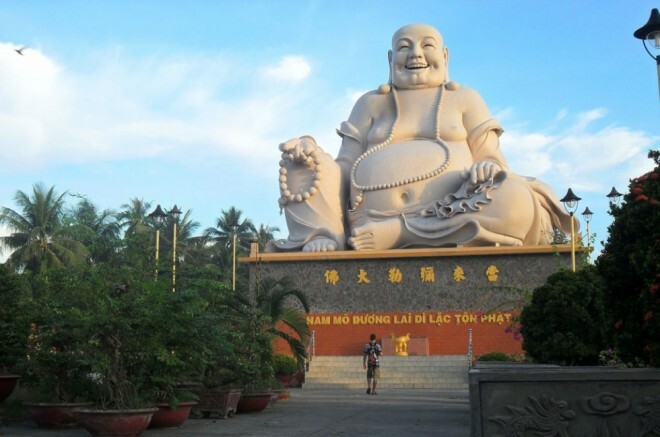 Budai is traditionally depicted as an obese, bald man wearing a robe and wearing or otherwise carrying prayer beads. He carries his few possessions in a cloth sack, being poor but content. He is often depicted entertaining or being followed by adoring children. 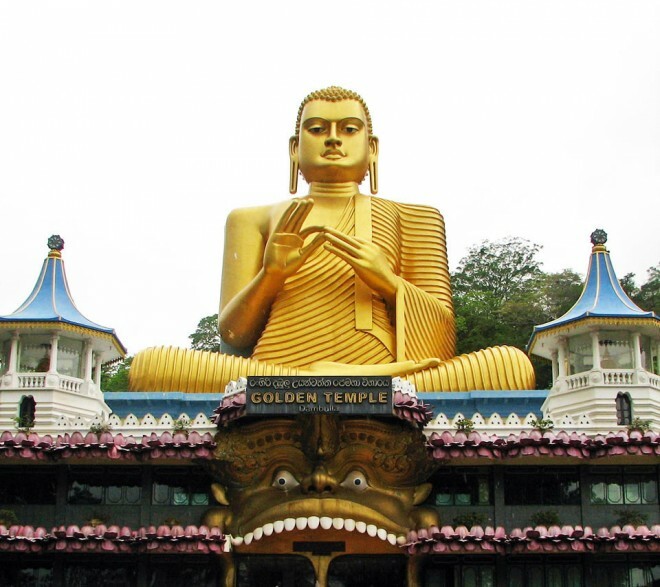 The temple houses a has a 39 meter high Buddha statue. 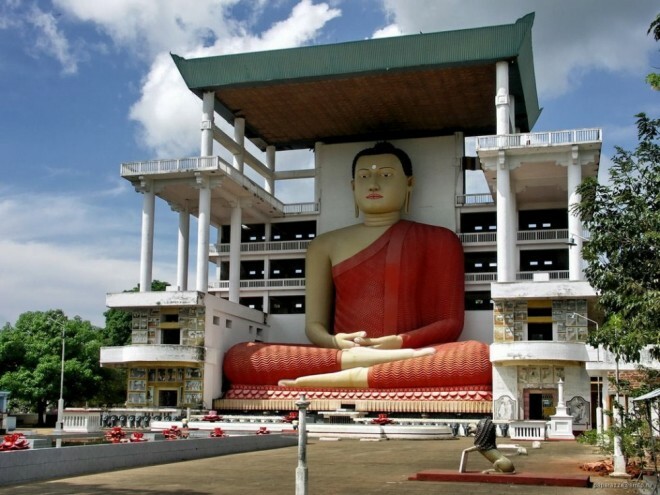 Weherahena Buddhist Temple is a cultural attraction near Matara. During the 17th century the local people had built an underground temple, where they prayed secretly. They kept it hidden from the Portuguese rulers due to the fear of destruction The present temple was built in the 1990s. It's main pull is the 39 meters high Buddha statue, which sits in the samadhi or squatting position in front of the equally high temple . Overall there are no relics, frescos or artefacts of historical significance in this temple. 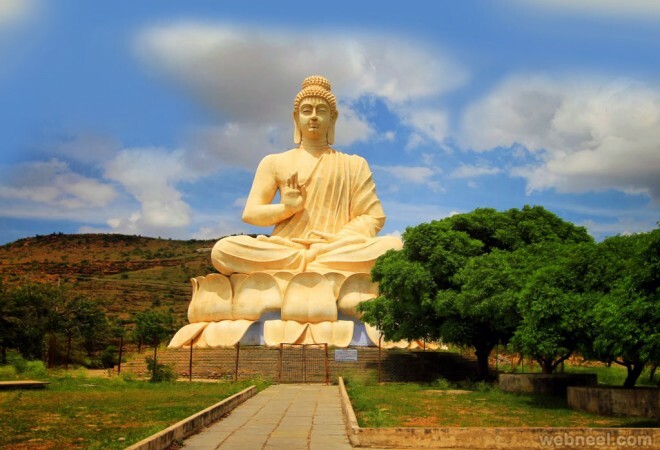 Seeing the Buddha statue from outside is enough for Non-Buddhist visitors. 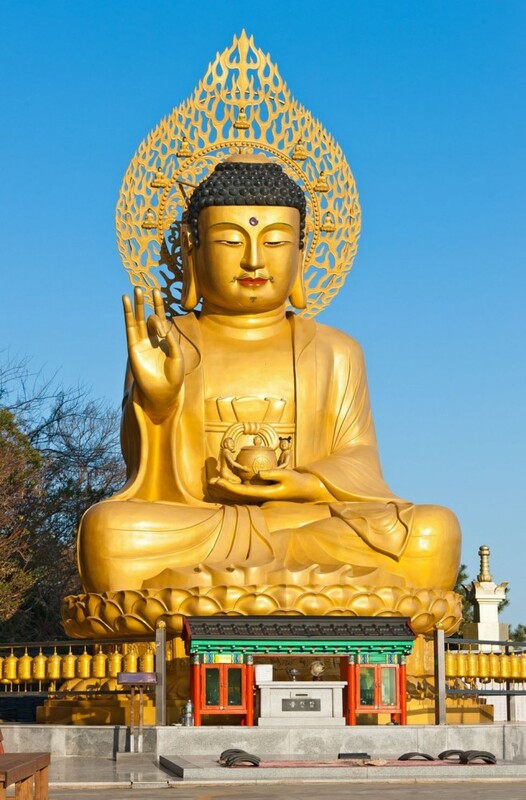 Golden Buddha statue at buddhist temple of Sanbanggulsa at Sanbangsan of Jeju island Korea.